You'll be £12.99 closer to your next £10.00 credit when you purchase U-Boats in World Wars One & Two. What's this? 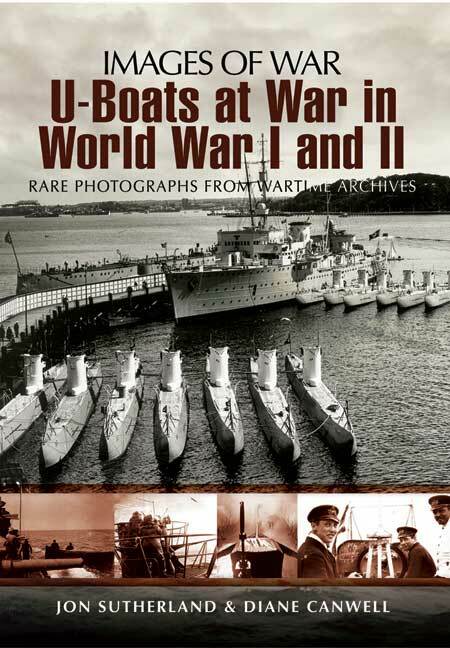 The World War One selection features a submariner's photos of U-25, an early German U-boat. They belonged to WO Friedrich Pohl who served on U-boats SM-25 and SMU-33. There are many photos of the U-boat itself, crew on deck and attacks on Norwegian merchant ships with the surface gun. U-25 was launched 12 July 1913, sank a total of 21 ships, 14,126 tons and surrendered to France 23 February 1919. The World War Two photos include images from an original WW2 U Boat commander's photo album. It belonged to Kapitan Leutnant Herbert Bruninghaus. As a U Boat navigator, he served on the famous U-38 under ace Heinrich Liebe. Herbert later went on to command three U Boats of his own - U-6, U-148 and U-1059. There are also original images from a Kriegmarine officer's photo album (unfortunately unnamed). It includes photos of Commander Prien's U-47 returning to Kiel after attacks at Scapa Flow.